The #1 question business owner asked about Working Capital Loan is this. What is the fastest way to grow my business? This answer is simple, you just need a the right finance to grow your business. And Moneck Capital’S Working Capital Loan does just that! Does the Working Capital Loan require a personal guarantee? No, it does not. It is an unsecured loan. Is the Working Capital Loan based on CC processing? It depends on the loan program. We have working capital lending options based on CC processing and other lending options that are not. The general qualifying criteria for lending options that are based on CC processing, require as little as of $1,500 a month in Visa/MC, 6 months processing, and a minimum of 6 months in business. Is the Working Capital Loan available only to U.S merchants using U.S. processors? Yes. Are payments taken out of the credit card processing or the overall daily bank deposits? Directly from the credit card processing or ACH directly out of the bank deposits. Are payments taken out of the credit card processing or the overall daily bank deposits? Depending on the loan program payments can be either taken out directly from the credit card processing or ACH directly out of the bank deposits. If credit card processing does not occur are payments taken out? No. If your loan program is based on CC processing then payments occur only when credit cards are processed. Most loan programs require no origination fee. Is there a prepayment penalty in paying the loan off early? Are payments based on a fixed interest rate? No. For ease & convenience, we will present you the working capital pricing & interest rate as a factor. Example: Requested loan amount is $10,000. You get funded $10,000 into your bank account. The payback loan amount is $12,000. If the loan program is based on your CC processing, then however long it takes for you to pay back $12,000 through future credit card processing is the duration of the loan term. There are no additional interest, fees, late fees, or charges. Payback payment amount can be based on a percentage of the daily future credit card processing or a fixed dollar amount. Is there a minimum credit fico score requirement? Depends on loan type. For some loan programs there is a 500 credit score minimum and for other loan programs a minimum credit score is not required. Are the payments made daily or weekly? 7 days a week or if it’s weekly. Is the loan amount based on a fixed amortized payment over a specific term? It depends. Payments can be based on a fixed dollar amount over a specific term or based as a percentage of a merchant’s future credit card processing. When payments are based as a percentage of future credit card processing then however long it takes to payback the loan through the daily processing of credit cards is the duration of the term. Does applying for a Working Capital Loan impact other opportunities to apply for traditional financing? No. Appears on the credit solely as an inquiry and not as a debt. This is not a personal guarantee. Payback is through the future processing of credit cards or ach from the bank account. 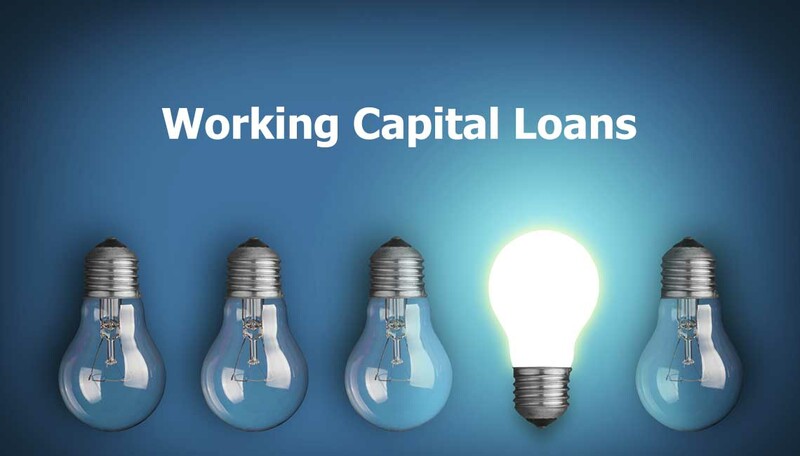 Is the Working Capital Loan customizable? Yes. The degree of customization depends on your overall application profile and whether it meets the specific criteria of various working capital loans we have available. What are the Working Capital customizable options? Payback frequency either Monday-Friday 5 days a week or Sunday-Saturday 7 days a week. Payback amount can be based on a percentage of the daily credit card processing or a fixed dollar amount. What merchants are best suited for Working Capital Loans? Want fast and easy access to working capital with minimal paperwork required. Don’t’ want to wait for the in-depth scrutiny and lengthy laborious traditional bank approval process. Don’t want to make a personal guaranty. Have less than perfect credit. Easy access to renewals & the recurrence of working capital. When do we know exactly the terms of loan? Once you complete the application and submit all of the required paperwork we then figure out the funding that is best for you. Once underwriting approves your loan we provide you with the exact terms and loan options. There are no hidden fees, no surprises and no application fees. In as little as 1-5 business days depending on the ability for underwriting to confirm information. How soon is the payout of funds once an approval is issued? Funds are deposited directly into your bank account usually within 2 business days of approval & your execution of the loan agreement.